Management of your Portfolio involves continuous care and attention. Simply buying is not enough. Every single investment needs to be monitored continuously. After all, what works today may not work tomorrow. This, though, is easier said than done. And that’s where Emkay’s Portfolio Management Services come into play. With Emkay, you can rest assured that your investments are constantly working to achieve your goals efficiently. Emkay’s Portfolio Management Services, a SEBI registered Portfolio Manager, comprises of professional fund managers, research and wealth advisors and associates with a combined experience of over 25 years. Our PMS clients include large corporate houses, family-owned businesses, high-networth individuals and Non-Resident Indians who have a long-term investment horizon (1 to 3+ years). All this is through Emkay Investment Managers Ltd (EIML), the Asset Management arm of Emkay Global. Emkay’s Portfolio Management Services’ expertise ranges across the breadth of the Indian equities market, from blue-chip large cap funds and well-performing mid-cap funds to emerging small caps. The driving goal behind every move of our Fund Management Team is to maximize wealth on a sustainable basis for our clients. Our investment practice is backed by a robust equities research division that tracks every movement of the stock markets round the clock. We avoid rookie risks like over-diversification by doing do our homework and designing focused, strong, growth-oriented portfolios. We monitor every stock by the minute to get the best return on every single investment you make, no matter how the quantum of investment. A disciplined and fundamentals driven approach to stock and sector allocation means every portfolio reaps the benefits of current trends alongside the safety of adequate asset diversification. It’s no wonder then that clients implicitly trust our well-rounded and insightful recommendations that consistently strike the winning note between risk and rewards, making Emkay one of the top Portfolio Management Services in India. Get a smart update about the stock market trends; the performing and underperforming sectors; investments by FIIs and DIIs; the major market movers as well as the performance of Emkay's Portfolio Management division with our quarterly newsletter. One of the secrets of a winning team is a strong leadership team that steers the organization by example. Emkay’s success as a PMS provider owes huge credit to the core PMS team led by the best in the investment business. The team offers unshakeable credibility through a combination of hard-won experience and an overwhelming tally of client successes that speak for themselves. The leadership team is ably supported by star equity analysts, wealth advisors and research associates who bring a deep understanding of the markets and astute financial judgment to the table – the finest of the private fund managers in India. 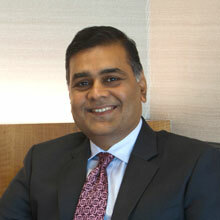 Krishna Kumar Karwa is a Chartered Accountant with over 25 years of hands-on experience in the equity markets. 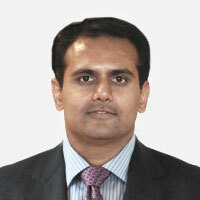 His core areas of expertise include Research, Advisory and Fund management. 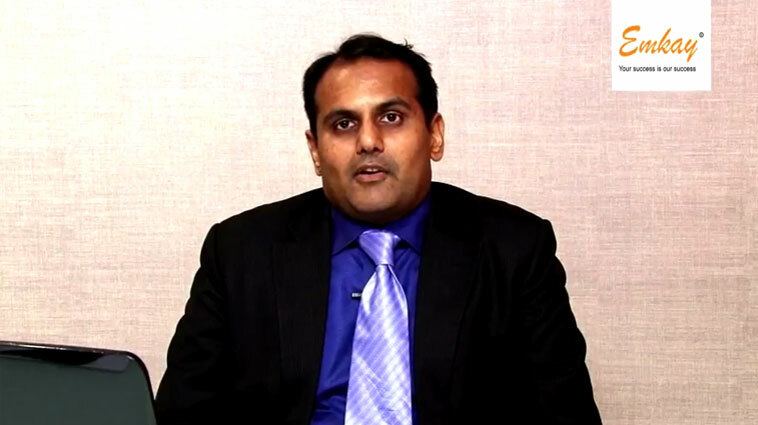 Mr.Sachin Shah, our Fund Manager brings with him 18 years of rich experience in equity markets. 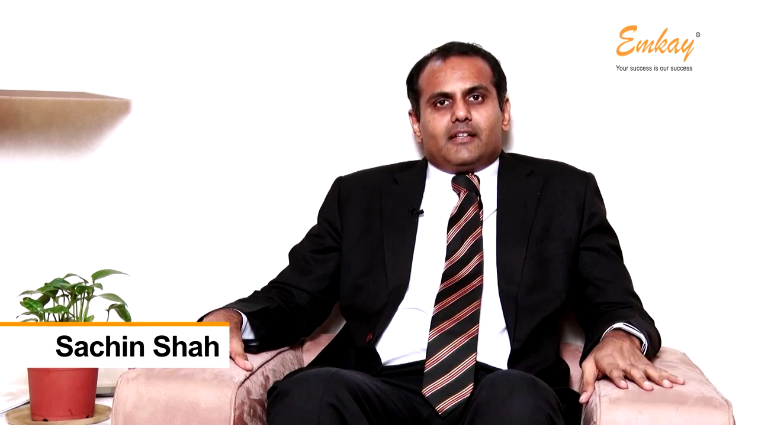 Mr. Shah specializes in Market Strategy, Sectoral and Company Research. He also doubles up as a Wealth advisor thanks to his wide breadth of expertise in Advisory and Private Wealth Management. 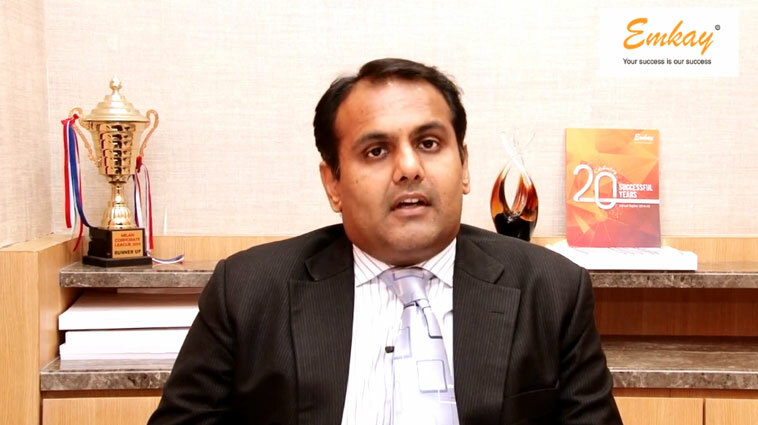 He has also enjoyed the position of being the discretionary portfolio manager with leading brokerages in the country. Among all the investment avenues open to you, the Indian investor, the equity market is by far the most lucrative from the perspective of return on investment. However, the inherent volatility of the equity markets makes investing in equities seem a risky venture for many investors. You may instead prefer an alternative route to the equity markets considered to be ‘safe’ – mutual funds. But what if you could combine the relative safety of a mutual fund with the competitive returns from equities? With Emkay’s Portfolio Management Services in India, you can now enjoy the best of both worlds. 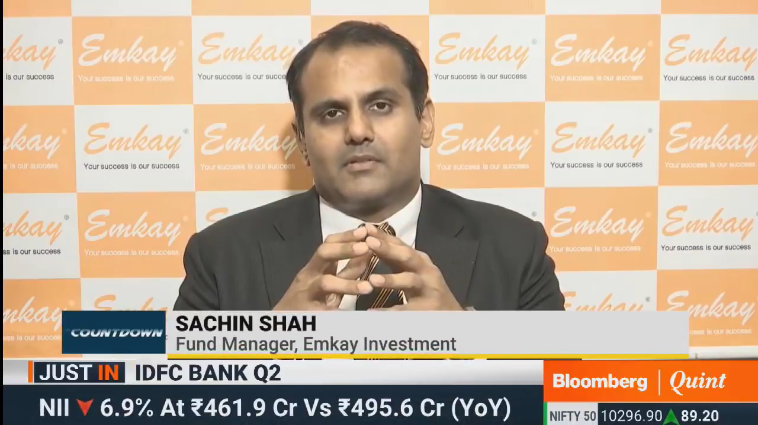 TTo help in this regard, Emkay has toiled to bring about technology that can help evaluate stocks on a wide array of factors. Emkay Portfolio Management Services is the proud innovator of a proprietary stock evaluation module called E-QualRisk. This module compares companies on a series of qualitative and quantitative aspects, offering a minimum required benchmark value for risk-adjusted returns. It offers this benchmark value for the entire spectrum of stocks - from large-caps to mid-caps to small-cap stocks. Our built-in filters blacklist low quality / high risk companies from our investment universe, thus minimizing risk for our investors’ portfolios. This module focuses on quality stocks that optimize the asset distribution for our clients’ portfolios. Our highly capable team balances private wealth maximization with liquidity and complete transparency into the portfolio management process through consistent investor communications. Mutual Funds are great; they are a one-size-fits-all type of investment vehicle.Emkay PMS services, meanwhile, custom-design your investment portfolio based on your personal and financial goals, your appetite for risk and your investment volume. A private portfolio management team that watches your investments with a hawk-eye easily trumps detached mutual fund managers who have no direct interaction with their clients. Choose your own pace of investment and enjoy the flexibility of picking a fee structure as per your requirements. Read on for features of PMS and Mutual Funds. Fees Flexible Fees Structure Available. Tax Individual Stocks - Holding Period > 1 Year = Long Term - NIL Holidng Period < 1 Year = Short Term Capital Gain - 15% Tax Applicable as per subscription & Redemption Dates in the Fund. This solution offers anywhere between 25 to 35 mid-cap stocks that are pegged to the S&P CNX 500 Index. This solution allows complete flexibility in the market cap of the stocks in your portfolio. Investors have the option of building a multi-cap portfolio with funds ranging from small cap and mid cap to large cap. This is a premium offering from Emkay’s stables that consists of only blue-chip funds. This solution covers 10 to 15 stocks listed on the S&P CNX Nifty. The ratio of large to mid-cap stocks in this portfolio ranges between 60-40 and 70-30. A middle of the road offering that combines the affordability of small and mid-cap funds with their high growth potential. Consisting of 20 to 25 stocks from the BSE Mid-Cap Index, this portfolio is skewed towards smaller funds with a mid-cap to small-cap ratio between 30-70 and 40-60. This offering combines the best of both worlds by bringing large caps in the same portfolio as mid and small caps. With 15 to 20 stocks from the BSE-500, this fund plays it safe with a strong large cap bias. The ratio of large to mid to small cap funds in this portfolio combination sits at 50-20-30. “ I have enjoyed a professional and fruitful relationship with Emkay Investment Managers. It has been a real pleasure to deal with everyone right from the fund manager to the back office team. They are really co operative and they are prompt with their responses to information requests. Their query handling is really efficient and there are no hidden terms and conditions in dealing with them. All in all a great example for others in the service industry. "